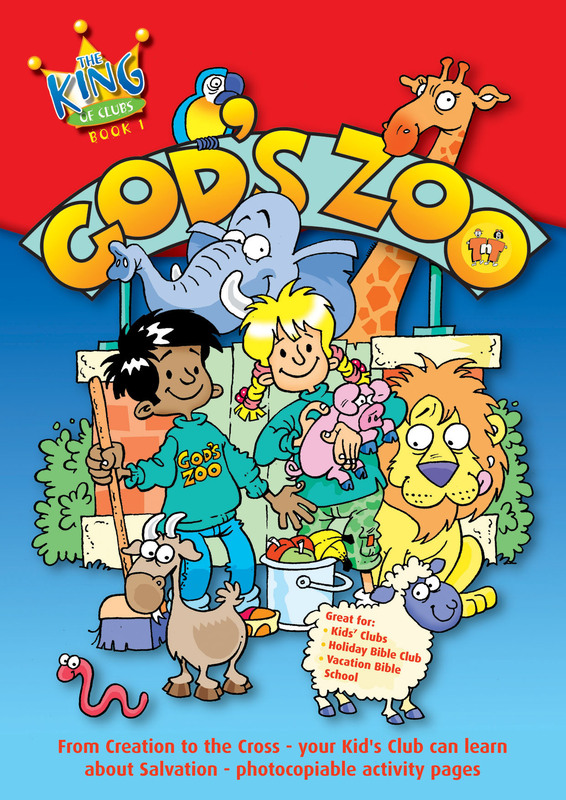 God's Zoo is a complete programme of 6 sessions designed for use at a Children's' Club. It can be easily adapted for use in a variety of settings, such as holiday clubs, after-school clubs, camps and church weekends. The club is for 5-11 year olds, with separate teaching groups for infants (5-7s) and juniors (8-11s), and is suitable for both churched and unchurched children. The club takes place in a zoo setting and is designed to introduce children to God's plan of salvation through Bible stories that involve animals. The Bible teaching takes place in small groups and there are separate fun sheets for 5-7s and 8-11s. God's Zoo has everything you need, just bring your bible, commitment and creativity. As well as some superb ideas for games, fun and activities there is a thorough explanation of the gospel message throughout the book. This is material that can easily take you through a whole term and bring your children to focus on fun, faith and God's forgiveness. The lesson plans and preparation tips make this book one you will recommend to others. Under the editorial oversight of the Proclamation Trust this material has been tested in a variety of different denominational settings. It's trustworthy, worthwhile and it works! God's Zoo by TNT Ministries was published by Christian Focus Publications in May 2005 and is our 15724th best seller. The ISBN for God's Zoo is 9781845500696. Be the first to review God's Zoo! Got a question? No problem! Just click here to ask us about God's Zoo.